At this time he had already begun to experience that great cycle of historical dreams which now replaced the dreams of his childhood in his mind, and into which the City now threw itself… He would wake to see the towers and minarets printed on the exhausted, dust-powdered sky, and see as if en montage on them the giant footprints of the historical memory which lies behind the recollections of individual personality, its mentor and guide; indeed its inventor, since man is only an extension of the spirit of place. 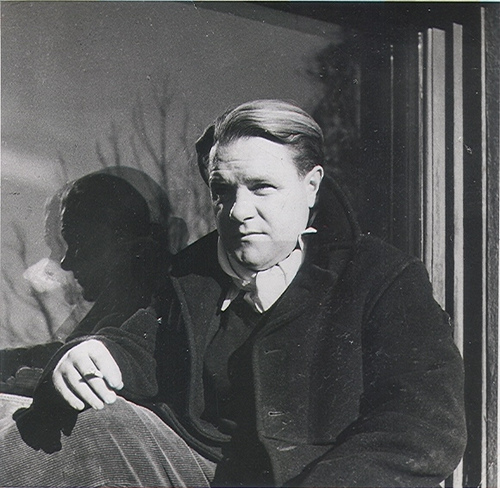 Durrell wrote Justine, the first novel in his Alexandria Quartet, in Cyprus. He had arrived in Alexandria in 1942, about a year after he and his wife Nancy had fled to Cairo from Greece. By 1942, Durrell and Nancy had separated, and Durrell settled in Alexandria. Three years later, he was on Rhodes, “liberated from [his] Egyptian prison,” and “free at last to return to Greece.” Durrell did not like Alexandria. The “whore among cities” he created in the Alexandria Quartet years after his sojourn there is an imagined city. “Durrell’s Alexandria is not in any way a direct expression of the real Alexandria, past or present,” writes Mona Anis in the al-Ahram Weekly. Borges wrote his beautiful poem Benares in 1923 in Buenos Aires, about an imagined city the writer has never seen. Even though he “plays with doubtful images”, he says that there is a real city somewhere else, that persist – even though it is “peopled like a dream”. Borges’ image of old men with rotten teeth in a city of muezzins is temptingly reminiscent of Durrell’s Alexandria. and repeats its unreachable houses. and blaze on to a sacred river. light is opening the streets like branches.